In a world dominated by GPS on smartphones, it's tough to remember the historical importance of physical maps. During World War II, for example, escape and evasion maps were often printed on silk which made it waterproof and able to be tightly rolled and hidden in uniforms. Burn Point Lodge Silk Maps continue that tradition, offering silk maps of any place in the world. 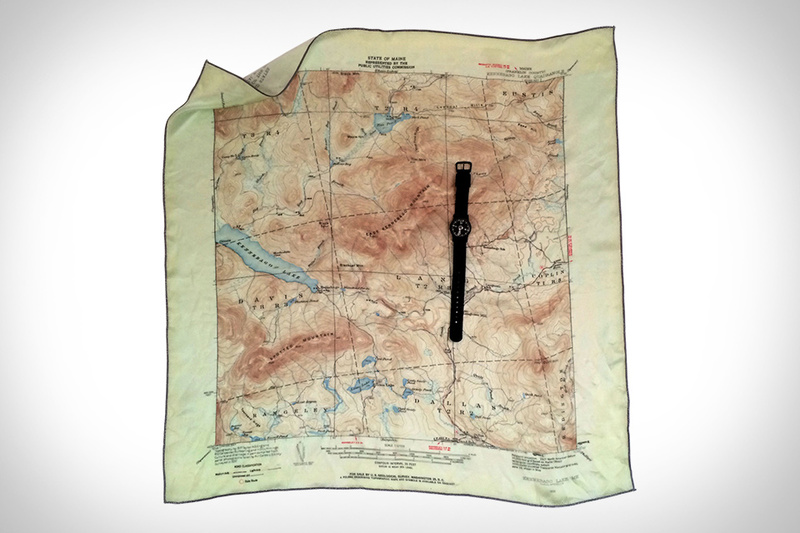 You can choose from the most recent U.S. Geological Survey maps and historical maps, and each one is durable enough to be used as a handkerchief, bandana, or even a bandage or sling in case of emergency.